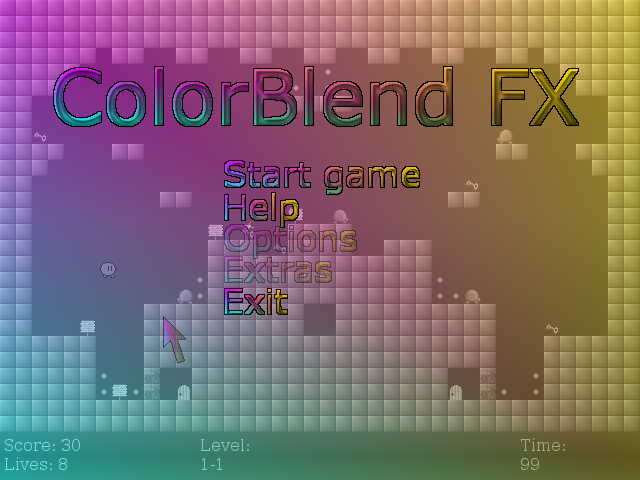 Colorblind FX Classic is a remake to one my friend's game, called Colorblind FIX. A platform game where you must get all the keys, then must go to the final door. Every game's level will intridouce new gameplay elements. The idea was the game to have about 100 levels (in 10 "zones"), every zone with its own boss. We are making a new game with this name. Check out the new ColorBlend FX! The old 2D game project is cancelled, but you can download old demo build here. 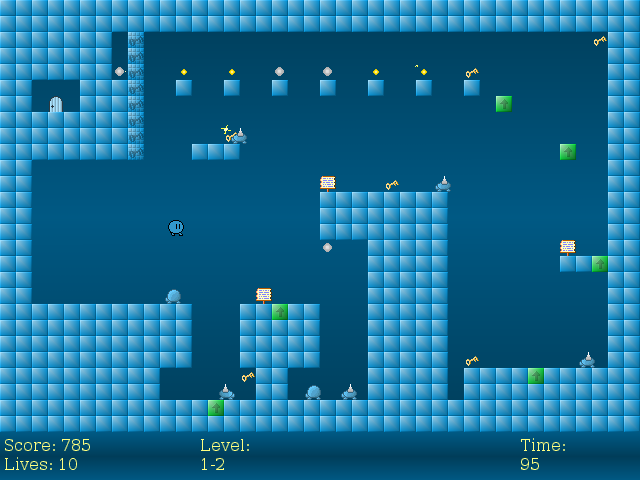 It is a version with only 12 levels in it (Zone 1, its boss and first 2 levels from zone 2). The levels, however, are very difficult. Source code is available (Game Maker 6).